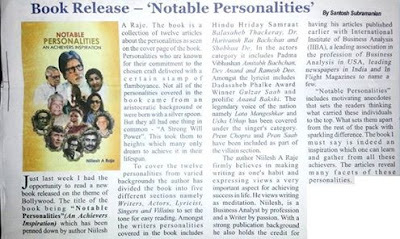 Press Coverage and Review of my book "Notable Personalities". Thank you to all my readers for your overwhelming support . . .